Pesach is expensive enough as it is; the food alone is at least double what I would normally spend in a week. Add to that the spring clothes and shoes we all need, yom tov gifts, chol hamoed activities and the random gadgets I purchase for the kitchen–and we’ve just about blown our budget for the year. That’s why I refuse to spend the week before Pesach eating out (not to mention the swarms of diners I’d like to avoid). So it’s double dinners for me this week. I’m hoping to turn the kitchen over next Tuesday, which leaves three nights of dinners next week. I’m doubling up now, freezing and then heating dinner in the microwave next week. 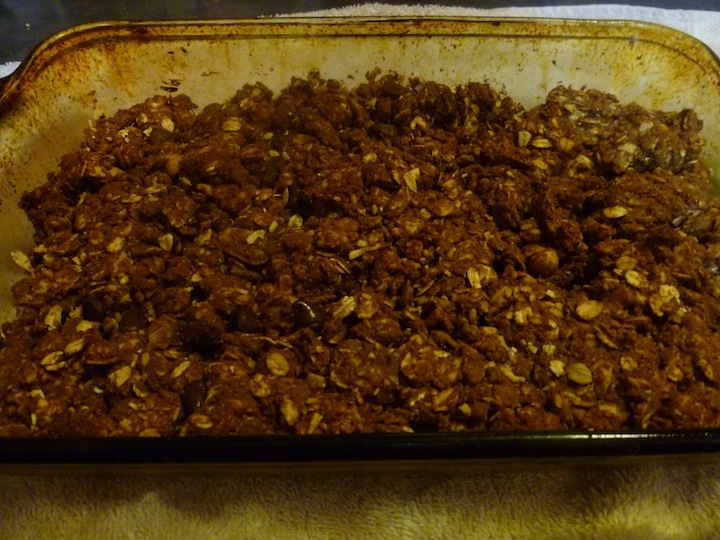 Combine flour, oats, cinnamon, cocoa, baking powder and salt in a medium bowl. Combine egg, honey, syrup and vanilla in a small bowl. Stir the wet ingredients into the dry ingredients until combined (It will still seem a little dry). 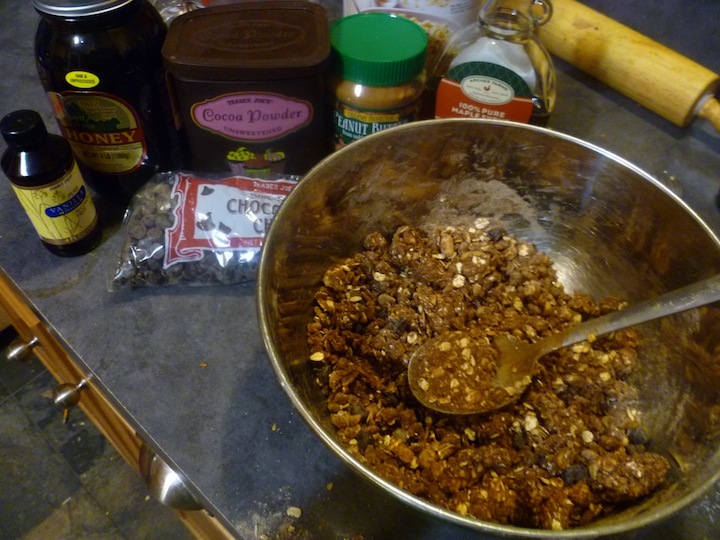 Stir in the peanuts and chocolate chips. And then let your husband sweep up the mess from the floor!